The era of connectedness, facilitated by the Industrial Internet of Things (IIoT), is redefining the workplace both in terms of what people do and how they do it. The availability of terabytes of sensor-generated data, which is analyzed and distilled to inform decision-making, is driving this change. For business development functions within the enterprise, this affects everything, including: product design, product management, product support, customer care, marketing and sales. Success in this connected world depends upon the ability to collect, analyze and distill huge quantities of real-time data and quickly turn that data into actionable business intelligence. This requirement is impacting almost every job and profession including sales representatives. The automation of many buying and selling transactions has removed the need for human intervention in the transaction process. Supply levels and product-status data delivered directly to manufacturers automatically trigger supply replenishment, part replacement, corrective services and similar actions. Previously, ISR operations canvassed customers and prospects regarding supply inventories or dissatisfaction with underperforming or malfunctioning machines in an effort to uncover selling opportunities. This mode of selling is rapidly becoming extinct. For salespeople, this means the physical product sale is of secondary importance to establishing the relationship that will exploit the capabilities delivered in the connected business relationship. The “relationship” is the product. This impacts the nature of selling skill sets and other desirable attributes. Customers used to rely on Sales to provide attractive prices for products, ROI justification for acquiring products, information related to products, detailed features and benefits, and some level of advocacy that represented their interests back to the selling organization. Customers now self-educate on many products in terms of capabilities, competitive comparisons, user stories and references. By the time customers might call upon a sales rep, they may effectively have made their buying decision. They will be conversant in most features and understand the benefits in terms of their own pain points or solution requirements. The element that will make or break the sale is the salesperson and the potential relationship value he or she brings to the table. The relationship value is defined in terms of industry and tribal knowledge, an insightful understanding of the customer’s unique challenges and the ability to present product solutions in light of the specific pains, needs and success requirements of the customer. To deliver that level of value, salespeople must consume large amounts of high-level information and distill an understanding of specific impacts on their customers. That acquired understanding will be the basis of recommended strategies, tactics and recommended courses of action for their customers to employ. Perhaps the biggest difference is the need to be anticipatory with recommendations, rather than reactive, to customer inquiries. Customers will expect more from Sales than turning the order quickly. This doesn’t necessarily mean the salesperson needs to become conversant in data analytical science. However, Sales, like the rest of us, has to become smart consumers of data. AI and connected technology do the heavy lifting as far as parsing out the zeros and ones and turning those into usable data. BI software sifts the huge volumes of that data and organize it in specific classifications. Intelligent applications and tools gather the organized information and utilize it to perform complex operations on behalf of sellers and buyers. Consider the application of sales tax in a business transaction. A multinational company may offer products across the entire planet. Thousands of local taxing authorities provide raw data on tax rates to data brokers who, in turn, sort through that data and organize the rates for product and service types across thousands of taxing jurisdictions around the world. Sellers obtain that data based on their own sales footprint worldwide and index those tax rates in the context of their selling offices and customer locations. 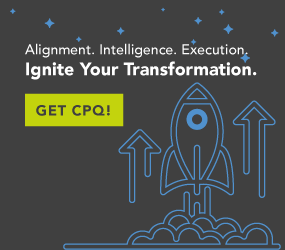 Selling applications, such as CPQ, will access that information when building out quotations for complex products configured for sale to a customer. Salespeople don’t need to know what the tax rate on services is in the capital city of the central province of Parador; they just need to know that CPQ will ensure the proper tax rate is applied. The new salesperson must develop the interpretive skills necessary to look at disparate facts gathered from unrelated sources and see how they might impact a customer. That level of insight moves way beyond guided selling or consultative selling. Sales reps that may have spent hours each day reading sales memos, product updates and pricing change notices will spend more time analyzing industry-related publications, business news and applicable professional journals to obtain the raw material required to support their customers. Sales reps will not be raw-data-focused as much as wide-spectrum-information-focused. The ability to review, absorb and interpret complex information derived from many data-generation sources is where Sales needs to apply interpretive skills. The vital nature of the sales role will be felt by both buyer and seller. Selling will be more important than ever.